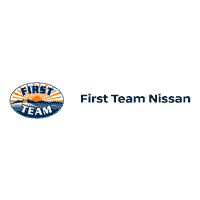 When you need credit to buy a new Nissan, come to First Team Nissan…we are the Car Credit Experts! We’ve helped people – thousands of people – to overcome credit problems, and drive great cars toward great credit. How have we done it?First Team Credit combines the auto financing muscle of ten national lenders with one of the largest dealership inventories in the country, to give you the credit you need for the vehicle you want, with as little as no money down. Filing bankruptcy is a beginning, not an end. Each year, unexpected events such as divorce, medical emergencies, job loss and overextension force millions of Americans to choose what is sometimes the only option left. For these honest, hard-working people, the decision to declare bankruptcy is never an easy one. If you’ve decided to file for bankruptcy chapter 7, you’ve taken a very important step in shaping your financial future. And we have over ten years of expertise in bankruptcy auto loans to ensure that your next step is the right one. You’ll need to re-establish your good credit in the quickest, most effective way possible. And yet you may have heard that nobody will help you until bankruptcy discharge, or that you’re going to be stuck in an old, broken down car for years to come, right? Nothing could be further from the truth. First Team Finance has exclusive bankruptcy car loan resources that can give you a head start toward re-establishment and get you a great car, long before your bankruptcy discharges. It’s a simple, proven, and hassle-free process that starts right now with your First Team Finance approval. It’s the right step. Your credit is extremely important when trying to assure lenders that you’re a good credit risk. Take these steps to build the best credit record you can – before you need it. 1. Open checking and savings accounts. Lenders want to know you have a checking account available to pay bills. A savings account indicates you are putting aside something for the future. Most lenders base their lending decisions on credit worthiness. Obtaining and reviewing a copy of your credit report can help you understand how you measure up to lender’s standards. 3. Correct any errors or omissions on your credit report. Some credit reports include errors or out-of-date information. If you find errors on your credit report, call the credit reporting agency. 4. Collect positive information about your payment habits. Collect positive information about your payment habits. The more positive information you provide about yourself the more comfortable a lender may feel about granting you credit. If you’ve borrowed money before, get positive confirmation from the lender that you’ve repaid the debt. Apply For Credit Consider applying for a small loan at your local bank. Apply for a secured credit card. You deposit a certain amount at a bank. In return, you are issued a Visa or Master card with a credit limit equal to the amount of your deposit. 6. Once you have credit, use it wisely. Once you have credit, use it wisely. Charge small amounts on each card. Don’t max out your credit cards. Once you have been approved for one credit card or loan, don’t go out apply for several more. Pay your bills on time. ALL THE TIME.